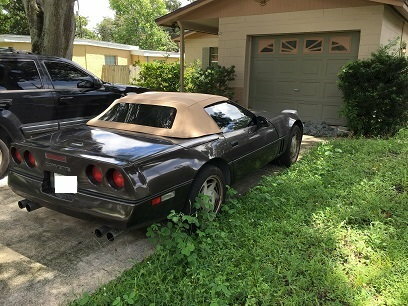 Finally got a good deal on a Vette..... so far. I would consider replacements. The ones on my 95 looked great also but were old. I replaced them myself and it was interesting to see all the little cracks come out on the sidewalls when I broke the beads on the tire machine. I was told I was second in line out of a dozen guys that contacted him in less than 2 hours. First guy was going to drive up from Olympia yesterday but came up with a so story about not being able to come up with the money in time and could he hold it for the weekend..... Seller passed on that and called me. I left work, grabbed the cash and the wife, and parked it in MY shop. It does seem like C4's go for quite a bit around here.... hence why I am sticking to my guns about it being a "good deal". Whereabouts are you located? I'm in Stanwood. Tires are certainly on the list, just not a critical item at the moment. I will run them while I am fixing it up and get to them eventually. The tag is still on the lid of the center console, but haven't gotten that far yet. I work second shift at Boeing and am just about ready to fly out the door. I do have this weekend off thankfully and will be diving into the codes amongst other things. Last edited by Y-bodluvr; 04-11-2019 at 09:06 PM. NIce ride. Hopefully the price will continue to be a "good Deal" 6 months down the road. You'll have to post up some pictures when you get done with the clay bar and detail. The DOT date code is on the inside of the tires, (the 2 that I looked at), but I am going to say 10 years old minimum since that's how long it had been since it ran last. The Jiffy lube oil sticker is still ledgible in the windshield and it was due for an oil change in 2006, but is still about 1000 miles away from the posted 3000 mile change. That's just right up the road! I don't get out to Stevens very often, but there are a few wrecking yards in Granite that I frequent. /\ Awesome! Take some photos of progress and enjoy it. Do you know the RPO codes yet? Just curious if you have the .2.59 gear or 2.73 etc. I'm sure you guys probably know more about what they mean than I do. Last edited by BillDurant; 04-12-2019 at 12:27 PM. A 6spd vert that runs for 2500 is an AMAZING deal! QA1 ‑ Styled aluminum wheels, 17 x 9.5"
Should cover most of it. Hope it helps! Enjoy the car. 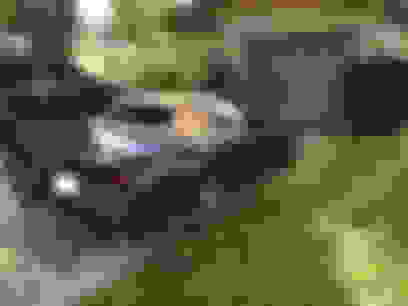 Last edited by pologreen1; 04-12-2019 at 01:24 PM. welcome to the funny pages and I think it was a darn good deal. Cool car - not much else to say there. One thing I will point out. The aftermarket stereo is a McIntosh! I have never seen one like that, but McIntosh is one of the best car audio brands there is. Do some research on that piece because it might be very valuable. I posted that picture because of the fact it is a McIntosh deck. It works fantastic, has a big Rockford Fosgate 4 channel amp, and Fosgate Punch speakers all the way around. This thing does rock!! Not overly valuable though, the most recent ones on eBay sold for around $150. Cool, everything listed is everything it has lol!! Quick Reply: Finally got a good deal on a Vette..... so far.